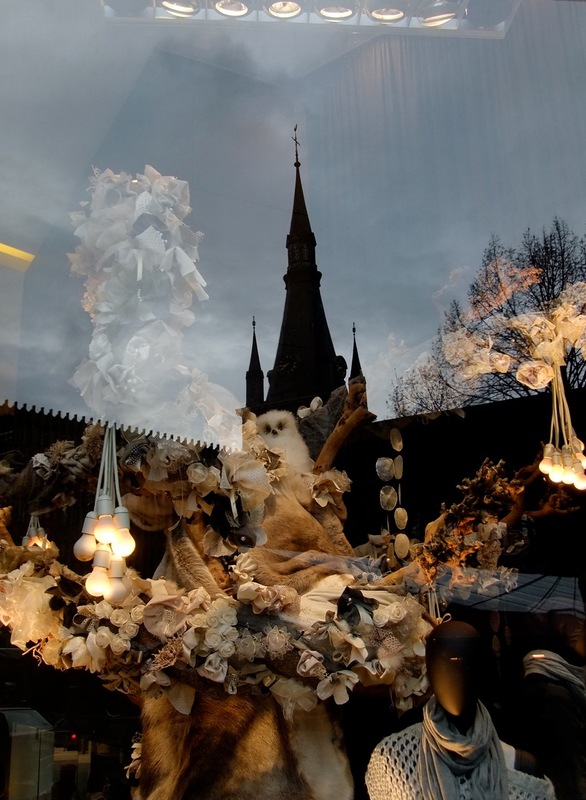 Wintery and seasonal decorations in a shop window, reflecting the Cathedral spire. Last year, the same shop had done something similar. perfect, i love the contrast between the objetcs of the store and the reflections on the window. That's a fantastic reflection shot! that's so cool - excellent shot.